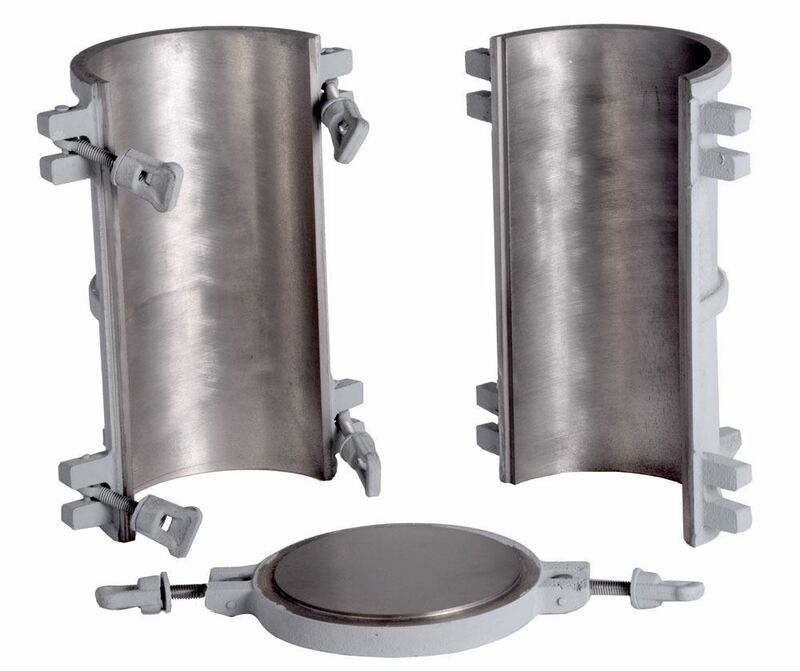 Concrete Cylinder Molds: Cast-Iron for 4" or 6" Molds - Gilson Co.
Cast-Iron Concrete Cylinder Molds are heavy castings, machined to exact dimensions and serial numbered for long-term repeated use. 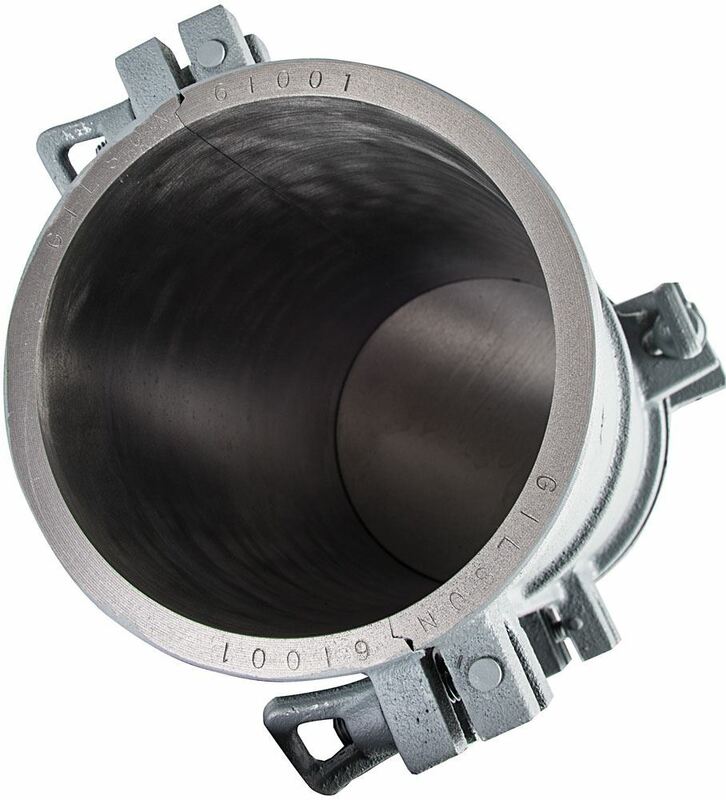 Sidewalls are approximately 0.25in (6.4mm) thick with molded-in 0.5in (12.7mm) reinforcing ribs to resist any deformation under rough use; the mold base is 0.75in (19mm) thick. The mold is easily assembled using toggle bolts with large wing nuts to securely fasten pieces, and can be quickly disassembled for stripping and cleaning. Joints are closely fitted and can be coated with grease for a completely waterproofed seal.